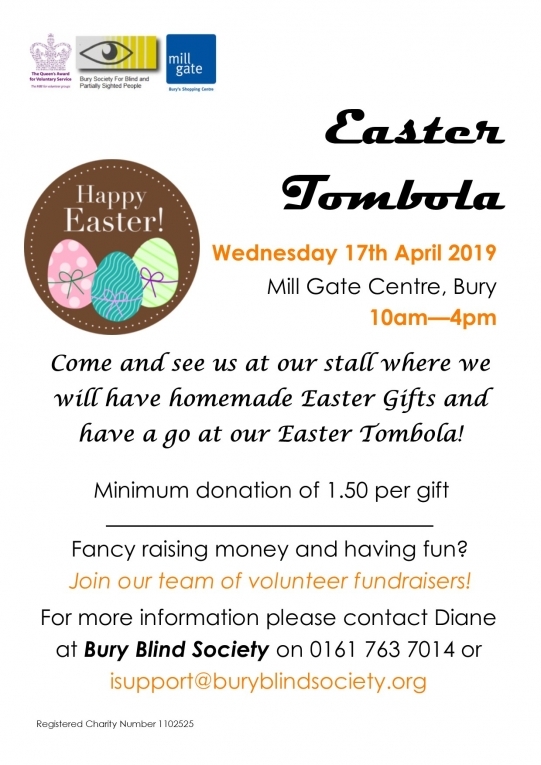 Come and see us at our stall where we will have homemade Easter Novelties and have a go at our Easter Tombola! 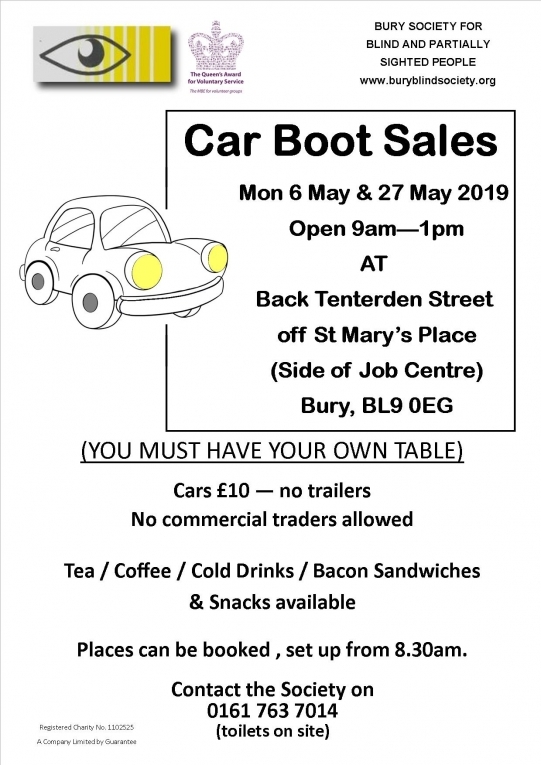 We will be holding our Bank Holiday Car Boot Sales on Monday 6 & 27 May. You must have your own table. Cars £10 - no trailers. No commercial traders allowed. Tea/Coffee/Cold Drinks/Bacon Sandwiches & Snacks available. Places can be booked, set up from 8.30am. Please contact the Society on 0161 763 7014. Venue: Lounge at the Centre. It is your opportunity to ask questions and put forward ideas and suggestions for the Society through your group representative. Individuals also welcome, we need to hear your views! We have been successful in our application to be a 'local cause' in the 'Co-op Community Fund'. This means that if you are a Co-op Member, every time you shop at Co-op, 1% of what you spend on selected own-branded products and services will go to our cause. We are registered with this fund for the next 12 months. What is the Society's mission?